The time for our Annual Ramadan Campaign and Competition has come! This year, we launch the #TransformedByTheQuran campaign! We have truly been moved by all the submissions we received from productive Muslims around the world last year. 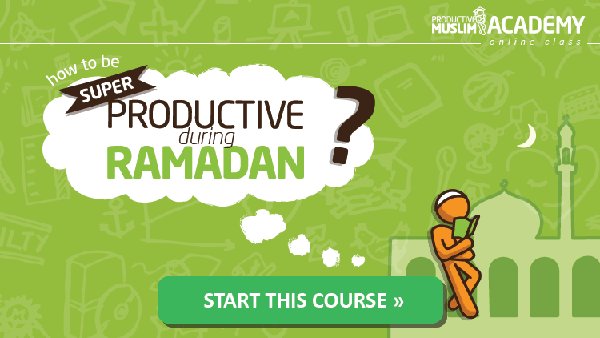 We asked you to share with us how you stay productive in Ramadan…and you proved to us that we have One Amazing Ummah! This year, we want you to inspire us and inspire the world even more. What could be a better source of inspiration than The Noble Qur’an? This Book was, is, and continues to be, a major source of spiritual, physical, personal and social healing and productivity for those who deeply ponder on its meanings. Since Ramadan is the month of the Qur’an, Muslims around the world will embark on their beautiful journey of reading and reflecting on this Noble Book in its entirety throughout the month. This year, ProductiveMuslim wants to encourage Muslims around the world to not only read, but act productively upon the beautiful inspirational messages of the Qur’an. We all know that there is much more to the Qur’an than a few verses that get misquoted and/or de-contextualized in some media outlets every now and then. So, it is time to reclaim the narrative and show the world how this Book transforms people’s thinking and actions, beautifully and positively. Like last year, we want you to grab your phone/camera and capture something productive you’re doing that is primarily inspired by a verse or a number of verses you have been reading from the Qur’an. We also allow written pieces of around 500 words accompanied with a relevant original photo you’ve taken. The main criterion is: show us how the Qur’an inspires you to be more productive spiritually, physically, personally or socially. How did it transform you or transform the way you think, act and speak for the better? Socially: you could show us how specific verses inspired you to launch projects or initiatives at workplace/school/neighborhood that are of much benefit to people. Spiritually: you could show us how the Qur’an helped you find peace, meaning, healing and positive attitude towards life. Personally: you could show us how the Qur’an helped you with your personal development, health, fitness etc. So, read, reflect, act and inspire us! The materials you send must be original. Videos shouldn’t exceed 4 minutes in length. Photos can be sent individually or as part of a photo essay (no more than 10 photos per photo essay). The piece of writing shouldn’t exceed 500 words, and must be accompanied with an original, relevant photo. Mention the verse(s) that helped transform the way you think, act, speak, behave etc. Send us your story through the below submission form or via this link here. All submissions must be received before the 30th of Ramadan. Submissions will be reviewed, and the winner will be announced by 16th of July. Top submissions will be showcased on our blog and social media. The top winner will receive a free copy of The Productive Muslim Book and a poster from The Productive Muslim Online Store. 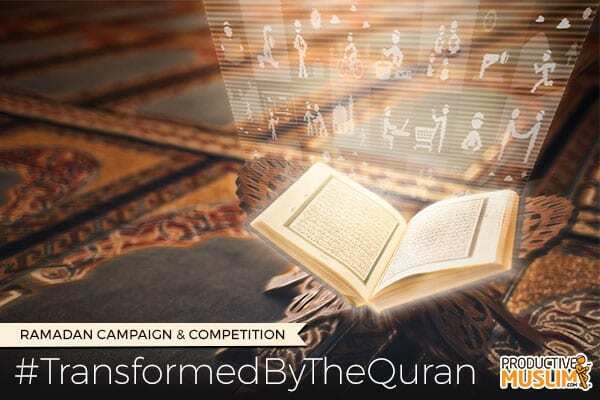 To help keep the competition thriving throughout Ramadan, we are launching the hashtag #TransformedByTheQuran. Even if you don’t wish to take part in the competition, you can still encourage your family and friends to share reflections on how the Qur’an inspires you and helps transform your life using this hashtag. “But perhaps you hate a thing and it is good for you; and perhaps you love a thing and it is bad for you. And Allah Knows, while you know not.” [Qur’an: Chapter 2: Verse: 216]. Now tell us your story. How did the Qur’an transform you? Share your story with us here.